We know skin. Our passion is skin. And we understand that the look and feel of your skin and body can determine how you feel every day. And we want to make you feel proud and confident of the skin that you are in. 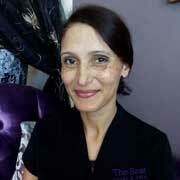 We are an Aesthetic clinic with state of the art equipment in a tranquil and relaxing environment. At The Best Laser & Skin we believe that all individuals are beautiful and we aim to bring out your inner beauty and destress you from all hassles of everyday life- without braking the bank. We strife to provide advanced care in the field of aesthetic, and to boost both the confidence and outlook of all our clients. 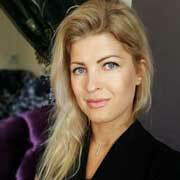 We offer free consultations with our highly experienced and friendly therapist. “I have been in the industry for the past 18 years and it has always been my passion to bring out the best in every person I meet”. 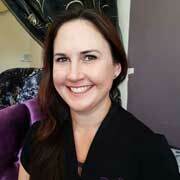 After qualifying at the esteemed Cape Town University of Technology with a National Diploma in Somatology she started her working career in Stellenbosch at Linda van Niekerk skincare clinic. “This is where my love for Paramedical Skincare started. The skin is an amazing organ with great rejuvenation properties. I became fascinated by the improvement in my client’s self-confidence and self-esteem as their skin concerns disappeared”. Working for 5 years on Cruise Liners as therapist and Spa Manager she learned how to cater to every clients relaxation and well-being. I have been practicing aesthetic medicine since 2010 and absolutely love doing it. 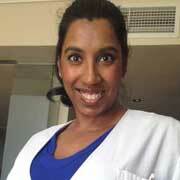 In 2004 I qualified with my MBCHB Degree from the University of Stellenbosch. Thereafter I started working in general medicine in public and private till 2010. I entered the aesthetic world very naively…but have never looked backed. My heart is for all my patients to be able to feel their best and look gracefully younger…not done! I was privately educated at The Whykeham Collegiate & St. John’s DSG, I spent many a happy year there. I achieved my undergraduate degree at Stellenbosch University. I then completed my post graduate at WITS University. I further pursued my education in Medical Aesthetics & expanded my knowledge in facial anatomy. I have been exposed and privileged to work and train internationally. My hobbies are yoga, cycling, horses & art. Your guide for a healthier and younger look. The face is a mirror that reflects the movements of your inner life. Take great care of it. My goal of being in a beauty industry for 13 years is to provide each unique client with the best care using highest quality products and honest attitude. After graduating at the beauty school in Europe, I continued my education at nursing college. There is nothing greater than help finding confidence, beauty and making people feel good and special about themselves! I love what I do! 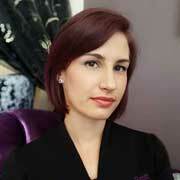 I completed my ITEC Diploma in skin and beauty Therapy in 1996. Since then I worked and managed one of Cape Town’s Hotel spas for 5 years before running my own salon, due to personal reasons I had to stop doing therapy. For the past 2 years I am excited and happy to be working with in the industry again. My passion is working with people and my ability is to have a calming and relaxing effect on my clients bring me tremendous joy. Beauty is my passion. My position at The Best Laser & Skin is as Front Desk Coordinator. I maintain the scheduling of bookings and assist the clients where needed. I do my best at accommodating clients of The Best Laser & Skin. I enjoy every clients company. 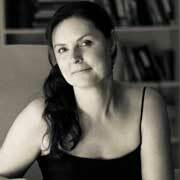 So for all your bookings, products, Gift vouchers and good coffee, I am happy to assist you. Happy Service! Happy Clients! © 2019. All Rights Reserved. Proudly powered by Plusto Websites.